The old Train The Trainer QQI/FETAC Level 6 has been deactivated by QQI. QQI (Quality and Qualifications Ireland) have replaced FETAC. 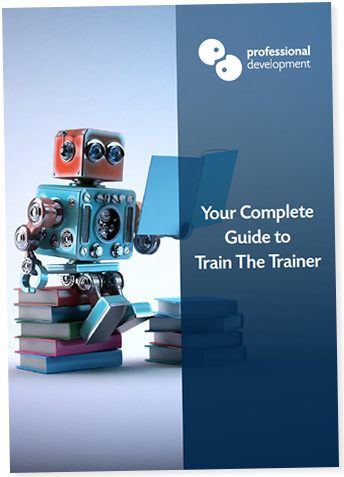 We now offer an expanded range of new Train the Trainer courses. Each course is QQI Level 6 certified. What does this mean for your Train The Trainer qualification? If you hold a FETAC Level 6 Train The Trainer (course code: E30179) award, click here to find out what the changes mean for you. Training Delivery & Evaluation is often called “the new Train The Trainer”. This 5 day course is for anyone who wants to gain certified, professional training skills. Training Needs Identification & Design Course is extremely beneficial for anyone who recommends training, or has a need to train as part of their existing job. Our scheduled Train the Trainer courses take place in Dublin throughout the year. These courses are open for anyone to book and attend. We offer tailored, in-company training in any Irish location. With this style of training, we come to your business premises and deliver training exclusively to your team.